LUV2EMBOSS: Christmas is coming, oh no! As I mentioned in previous post, fall/winter is coming and Christmas will soon be here. 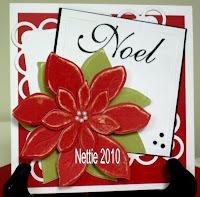 I belong to a group of embossers (The Bossy Group) and each month we have a host who chooses a template and sends embossed pieces of same to members to create their own card. 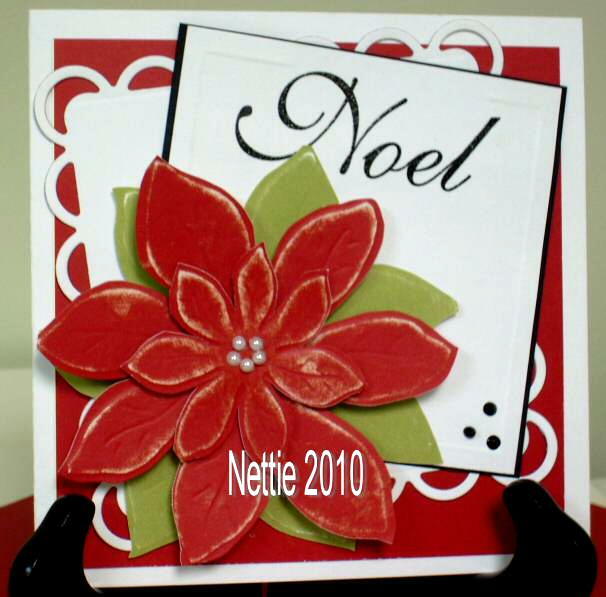 Here's November's sample from a wonderfully talented friend of mine, Nettie. Her card is gorgeous and I can't wait to get my "pieces."